SR22 insurance is a certification mandated by the state government to verify that an individual is maintaining auto insurance liability coverage. SR22 insurance is typically required when an individual has been in an accident or has been convicted of a traffic offense and was unable to demonstrate proof of appropriate financial responsibility insurance. Judges also order SR22 insurance for other offenses, and the forms and procedures for SR22 insurance vary by state. The state Motor Vehicle Department will notify an individual if they need SR22 insurance, and the provider insuring the individual will file an SR22 with the state on the individual's behalf. Insurance companies submit the SR22 to the state Department of Motor vehicles, verifying that the appropriate SR22 auto liability insurance has been provided and is in effect. If an individual's SR22 insurance policy expires, is cancelled or is not renewed for any reason, the state law requires that the insurance company file a cancellation of the SR22 with the state. If the individual does not comply with the SR22 insurance requirement, an SR-26, which notifies the state of this SR22 insurance lapse, is filed with the state and the Motor Vehicle Department will suspend the driver's license. In the event that this occurs, the individual will need to file for SR22 insurance again with a provider to have the driver's license re-instated. You do not need to own a car to buy SR22 insurance. Even if you do not own a car, you can protect yourself from the high costs of driving an uninsured car with an SR22 for an Operator's Certificate, which covers the motorist in the operation of any non-owned vehicle. 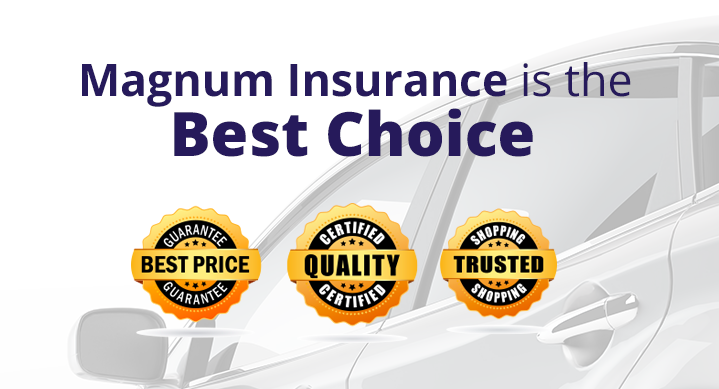 Magnum has been providing SR22 insurance at lower rates for over 20 years and we understand that buying insurance and staying up-to-date can be difficult. Magnum is always ready to help. To learn more about the low rates for SR22 Illinois, click here or contact us.